Plus, new character and hacker groups introduced. New details on Digimon Story: Cyber Sleuth has come out of this month’s V-Jump. Chief among the new reveals in the magazine is the fact that Omnimon will be appearing in the game. As previously revealed, Agumon and Gabumon show up in Cyber Sleuth as prominent characters and work alongside Nokia Shiramine as her partners. 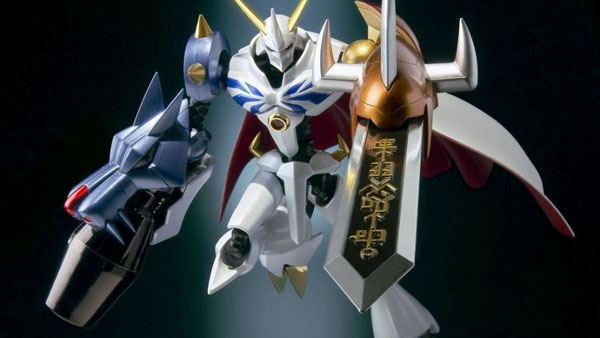 Omnimon being a Mega level digivolution that brings the two Digimon’s Mega forms (WarGreymon and MetalGarurumon, respectively) together. He is believed to have a prominent presence in the game’s storyline due not only to his connection to Nokia, but also his appearance in dialogue scenes. Also introduced in the magazine are a detective by the name of Goro Matayoshi, as well as some of the malevolent hacker groups that are after him. “Zakurin” and “Demons” make up two of these groups, and are headed by characters known as Fay and Jimmy KEN. These characters are said to appear as part of side-quests that players can undertake over the course of the game. Finally, V-Jump also reveals that the Digi-Farm and Digi-Lab are set to return, as well. These are said to more or less work as they have in previous games, with the Digi-Farm being a place where Digimon can be deposited to bolster their stats with specialized training, while the Digi-Lab is a place players can turn to for swapping out their partners, as well as have them digivolve and de-digivolve. The magazine also mentions that a familiar character might be showing up as a guide in the lab. Digimon Story: Cyber Sleuth is due out for PS Vita in Japan in spring 2015.